Quform WordPress v2 DocumentationFAQFormsHow do I set up the form to redirect to another page? 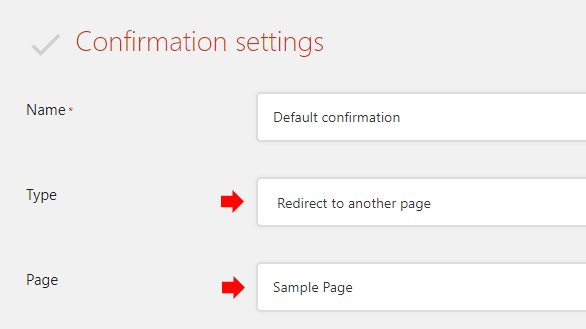 Go to Edit Form → Settings → Confirmations, then then going to the settings (cog icon) for the Default confirmation. Set Type to Redirect to another page, then below that choose the page you want to redirect to.